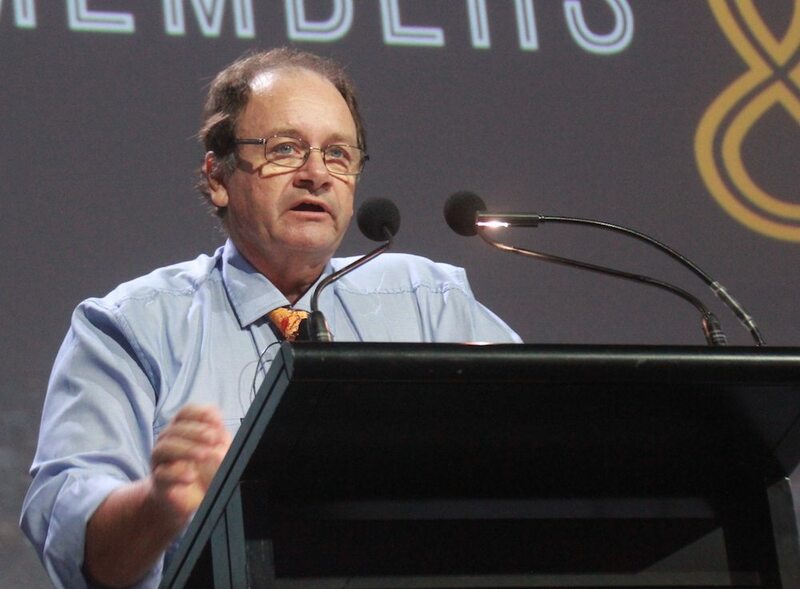 NTCA president Tom Stockwell addresses the association’s annual conference in Darwin last Friday. In many conferences the annual president’s address is a routine agenda item. At the Northern Territory Cattlemen’s Association Conference, it is a scene-setting opening salvo, a forthright and much-anticipated highlight that sets the straight-talking tone for the rest of the event. You won’t find speeches here couched in political correctness to the point that any message is lost in a blur of meek ambiguity, where the chief motivation is simply not to offend. 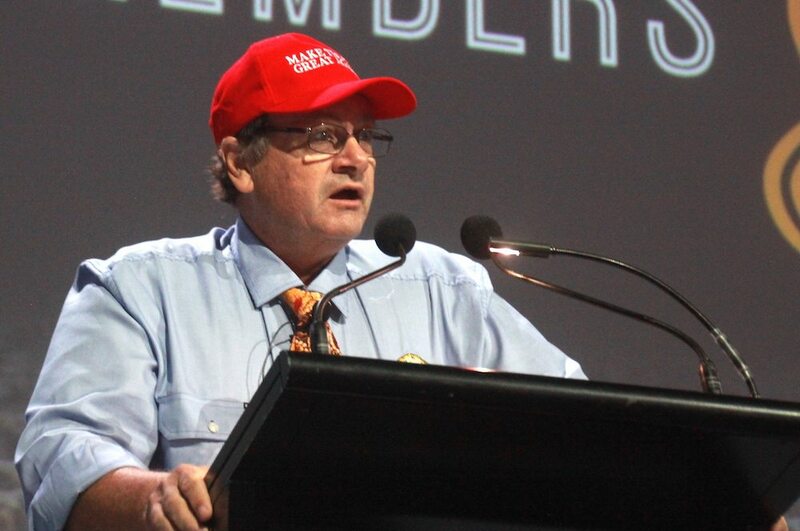 Incumbent NTCA president Tom Stockwell noted in this year’s address that old bushmen have an impressive ability to get to the nub of an issue in a few words. The same could be said of NTCA presidents’ addresses over the years, which have become well known for providing frank and fearless commentary, even if it means driving the odd road train or two over a few sets of Darwin or Canberra toes. This year’s version, the second by Tom Stockwell, didn’t fail to uphold the tradition. The usual targets of northern indignation were again in the cross hairs – uninformed southern bureaucrats and decision makers who act without consultation, and ‘noisy, cross mobs’ who serve to distract the industry’s attention away from getting on with the job of sustainably producing beef. There was a philosophical bent to this year’s address also, with Charles Dickens’ “remarkably prescient” tale about mob-rule and out-of-touch aristocracy during the French revolution given a fresh twist to reflect modern times: “a Tale of the Lot-fed Cities and the Free-range bush”. But sobering words of advice were not only directed at external parties. “The worst thing we can do in the north is believe our own bulldust,” Mr Stockwell said, referring to recent property sales and rising land values. Higher land prices were no substitute for poor grazing land management practices, he warned fellow producers. “It doesn’t matter how much you paid per beast area, or how much you talk it up, productivity is still largely controlled by land capability and water availability and the season that drives it,” Mr Stockwell said. “The country will not produce any more grass and the cattle won‘t grow any faster or bigger or better just because the land price has gone up. “If you aren’t controlling your woody weeds and thickening, the equation is worse. “The productivity versus stocking rate relationship is unforgiving. Words of wisdom were also borrowed from other prominent figures: Donald Trump (“Make the NT Great Again!”), Daryl Kerrigan of “The Castle” fame (“let’s hope that the rest of the day and tonight is going straight into the pool room”), and expert beef exporter and marketer Richard Rains. The latter’s name was invoked as Mr Stockwell outlined the recent process of developing the Australian Beef Sustainability Framework. Mr Stockwell and Mr Rains are both on the committee of industry stakeholders which has been working to objectively describe the credibility of the Australian beef industry across four pillars of sustainability. The framework – due for final release any day now – aims to achieve this without requiring more bookwork at the farm or station level, by utilising the industry systems and monitoring producers have paid to establish over the years. “Sustainability is simply about Cattle, Country, Kids and Cash,” I said. “What about the “Customer?”, said the guru of marketing from Whale Beach, and proven sire of the breeders at Broadmere in the Gulf, in an email with a message attributed to Confucius at the bottom. “All of human existence relies on the top six inches of soil and the fact it rains”. “Then the professionals got involved and consultation started. “Globally, the sustainability industry is second only to the climate change and health bureaucracies (which actually makes it third) so we spent 12 months looking at about a gazillion indicators, processing and analysing them to death and consulting with everyone, and ended up with 22 pages of the framework and the story about it. Despite nearly two decades of pre-occupation in Australia with CO2 emissions and billions spent on research and legislating around carbon, which was turning efficient profitable industries into inefficient ones by making energy more expensive, satellite monitoring shows Australia is actually a net sink for CO2 for nearly the whole of every year. A year in the life of the Earth’s CO2. Even when Queensland was clearing trees at its hardest, Australia remained largely a net sink for CO2. “The politicians know this. The bureaucrats know this. We shouldn’t waste any more money on this,” Mr Stockwell said. “The bad news is that a lot of this sinking is thanks to woodland thickening in North Australia. “We do not have a CO2 or climate change problem in north Australia – we have an Arboreal Obesity epidemic. “Having been a keen observer of such things for four decades, now it is our biggest threat to sustainability in the north of the NT, at least as the data suggests it is across all northern woodland ecosystems. “The problem simply stated is: more trees equals less grass, equals less carrying capacity or more overgrazing and soil loss, not to forget changes to the biodiversity associated with grasslands and open woodlands. Government and industry funded research and development projects needed to stop arguing over an acceptable figure for “kg CO2 emitted per kg of beef produced” and playing the Euro–centric Kyoto protocol game, and instead get back into landscape management and production. He said the Australian Beef Sustainability Framework can help industry to improve production and marketing systems, and to communicate what it is doing to customers and consumers at home and abroad. The beef industry and individual enterprises within it had to be more responsible and proactive in monitoring and regulating their performance and management of endemic diseases, without contributing to red-tape. “This is not a get-out for Government who need to recognise and maintain their responsibilities in regulation and border protection. “Clearly we need to do this efficiently, but we need to be crystal about the significant risks involved if we do not “practice what we preach” particularly in regard to “animal welfare” and “environmental stewardship” areas, and commit to strive for continual improvement. The NT economy is in a parlous state, with an unhealthy proportion of the territory’s “industry” relying on public funding, Mr Stockwell said. 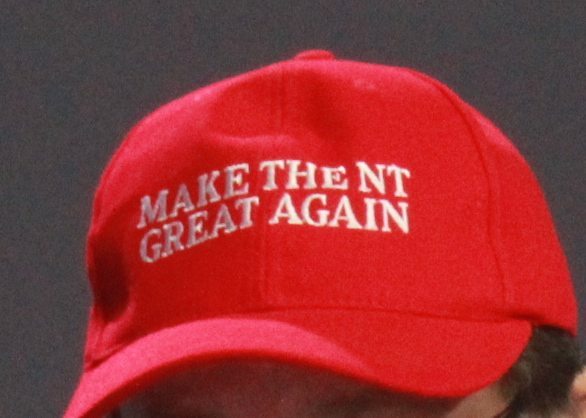 The NT beef industry, on the other hand, earns $1 billion a year, mostly from exports, but alone it could not drag the NT out of its ‘mendicant’ state. Despite contributing economically and culturally, the cattle industry and its communities continued to be marginalised and undervalued. 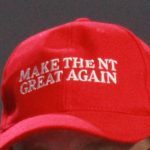 “The dilemma of our time is if and how our industry can co-exist with the unconventional shale gas industry, presently the only left-field potential for balancing the NT books to some extent. “Politically-polite” energy policies of the Territory and federal governments over the past two decades had cost jobs, manufacturing industries and had added costs to those who had survived to date. Mr Stockwell questions why Australia fails to use its abundance of natural gas and uranium to create cheap power for local industry and to improve its comparative advantage in trade with other countries. “Why would we only sell our cheap stuff and then try and impose expensive and unreliable renewables on ourselves?,” he asked. “Without a major shift in direction there is only worse to come. Mr Stockwell said prosperity and opportunity was staring the northern cattle industry in the face. But that required protecting and enhancing Australia’s comparative advantages and marketing a safe product with integrity that is desired around the world. “Remember that this is all based on a biological system that is based on the top six inches of soil, rain, underground water, pasture, cows, managed and husbanded by informed productive people that have a plan that deals with today and the next generation,” he said. This article has been updated from the original published version to clarify a point about the effect of carbon legislation turning efficient industries into inefficient industries. Essential reading before entering NT or commenting on policy for NT. Time for courage and independent action, NT and N Qld, Kimberley. All the best to you, Alf Collins. Great article Tom, I hope the politicians and especially the bureaucrats take time to read it but I doubt it. We do waste a helluva lot of our time dealing with the so-called intelligentsia on just the problems you identified. We have reached the stage where we should talk quietly but carry a big stick.